Nintendo of America shared the news, along with an image of the physical release's box art, in a post on Twitter. 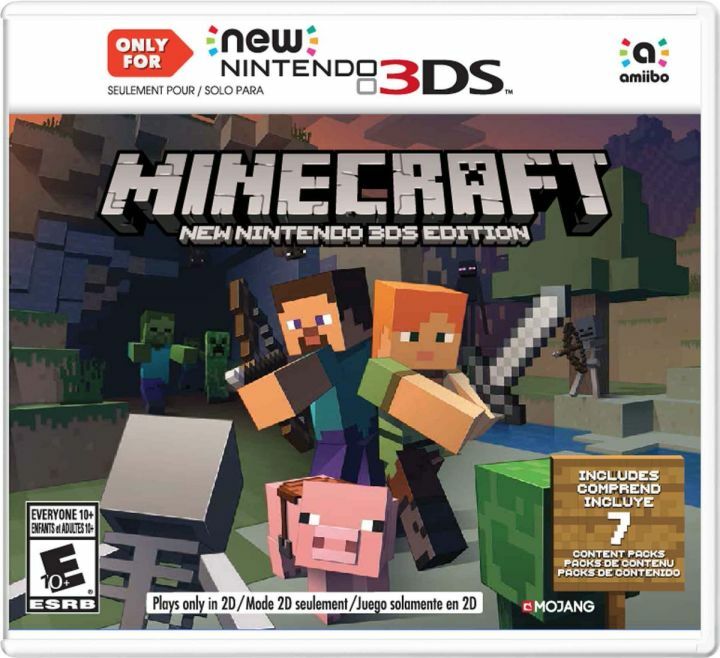 Minecraft was released digitally for New Nintendo 3DS as a surprise announcement during last month's Nintendo Direct. The New 3DS version of Mojang's popular sandbox game features the Survival and Creative modes, as well as five skin packs, two new texture packs, and more. Players can use the touch screen to view the map, access their inventory, and craft various items. Additionally, the New 3DS version gives players the option of controlling the game with either touch or traditional button controls. For our thoughts on this handheld version of Mojang's creation-minded phenomenon, read IGN's Minecraft: New 3DS Edition review.